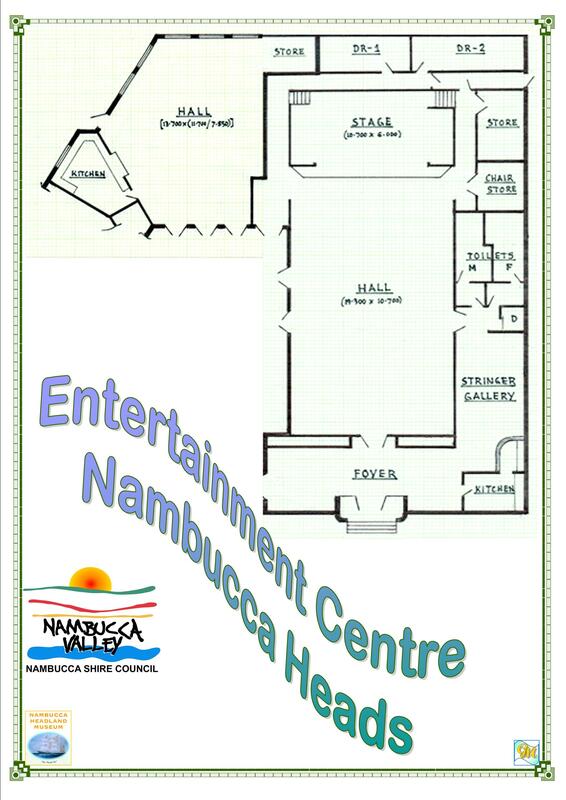 The Nambucca Community and Arts Centre (NCAC) is located in Ridge Street, Nambucca Heads between the Library and the Post Office. Click here to see a plan of the building. There is ample off street parking on Ridge Street and a roof top car park above the Seascape Shopping Centre complex across the road from the centre. The original wooden building dating from 1896 was destroyed by fire in 1937. The re-building took three years and the Centre was re-opened on 11 March 1940. Bicentennial funding in 1988 saw the addition of a foyer, art Gallery and kitchen. 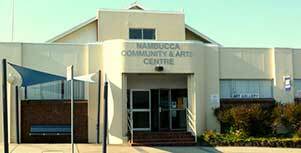 The building was known as the Nambucca Entertainment Centre until 2015 when it was renamed as the Nambucca Community and Arts Centre to better reflect usage of the building. In more recent times the Main Hall has been completely renovated, a new public address system is now in place and solar panels have been installed on the roof of the building. A great deal of the funding for these improvements have been obtained by grant applications over the past few years. 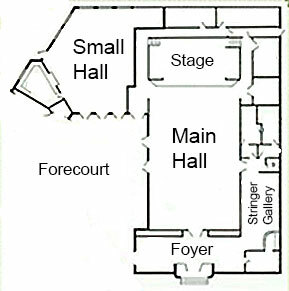 Click here to see a floor diagram and photographs of the venue. Adjoining the Main Hall is the Stringer Gallery which displays paintings by local artists. The Stringer Gallery is run by the Nambucca Valley Arts Council. The Gallery is available for hire for small meetings at other specified times. Hall hire charges apply. These vary depending up which hall is hired, the duration (hourly, daily), and also day (weekday, weekend). We also offer a discount for regular hirers. Click here for booking and hire rate enquiries. For more details of what's happening in our area see the Nambucca Web. Site hosted by Nambucca Graphics.